THE CONSUMER Price Index Inflation Calculator is a useful tool. Yesterday in Part 1, it helped assess the cost of today’s cars and their gasoline. Today in Part 2, we learn why I didn’t buy a Bugatti Type 57 back in 1967. Nor do I own one today, by the way, much as I’d like to. That $5750 Type 57 Bugatti. 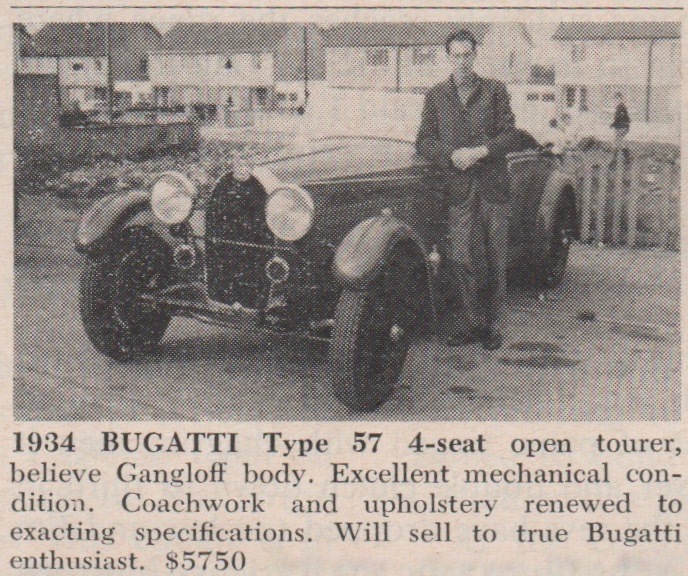 When I read the January 1967 R&T ad for a Bugatti Type 57 four-seat open tourer, I didn’t happen to have $5750 in spare cash; I was in grad school. Image from R&T, January 1967. Today, admittedly I’m a bit better set, but the CPI Inflation Calculator’s equivalent $44,040.63 still isn’t pocket change. And, of course, this overlooks the inflation of the classic car market as well; these days, Type 57s are $9 million cars. The Inequality of Inflation-Indexed Capital Gains. As the term implies, a capital gains tax is paid on the appreciation in the value of something held over time. It may be a collector car, a painting, an investment, a stock, a home, whatever may gain in value. Suppose 20 years ago you bought something for $10,000 and you are now able to sell it for $70,000 (just a skosh more than 10-percent increase per year). The difference of $60,000 is subject to capital gains tax. There are subtleties depending upon income, but the top rate of capital gains tax is 20 percent, with your $60,000 gain being taxed $12,000. 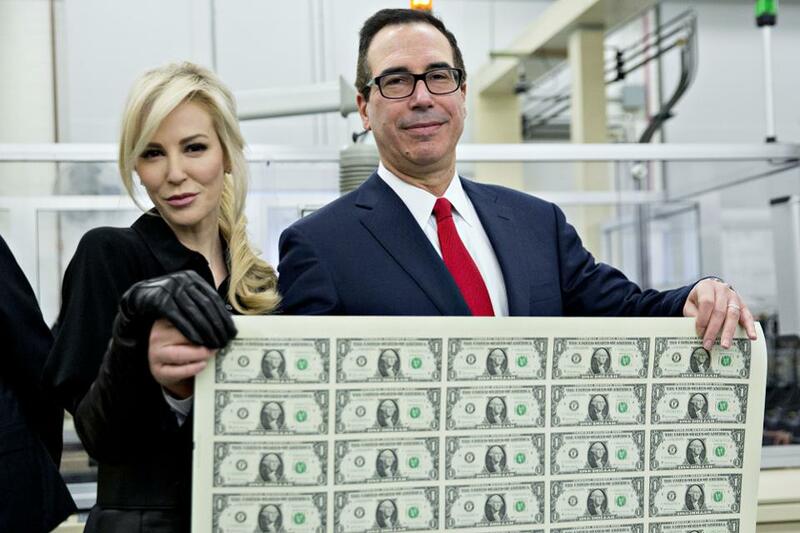 Steven Mnuchin and his wife Louise Linton display the small-bills common touch. Image by Andrew Harrer/Bloomberg at Forbes. Mnuchin’s proposal would invoke an inflation indexing on the initial investment, rather than calculating change based on the actual dollar amount when the investment was made. 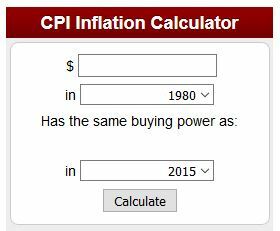 For example, according to the CPI Inflation Calculator, that $10,000 20 years ago would be equivalent to $15,459.45 today. And hence if indexed in this way, your capital gains would be today’s $70,000 minus this hypothetically invested $15,459.45, or $54,540.55. Instead of $12,000 capital gains tax on $60,000, the tax would be $10,908.11 on this fudged gain. 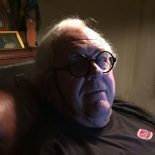 This entry was posted on August 3, 2018 by simanaitissays in And Furthermore... and tagged BLS CPI Inflation Calculator, Bugatti Type 57 not bought, Bureau of Labor Statistics Consumer Price Index Inflation Calculator, inflation-indexed capital gains helps super wealthy, Mnuchin and wife Louise with sheet of dollars Andrew Harrer/Bloomberg, Steven Mnuchin Secretary of the Treasury.